I am a 19 year old recurve archer based in North-East England, having started shooting at the end of 2012, inspired by the Olympics. 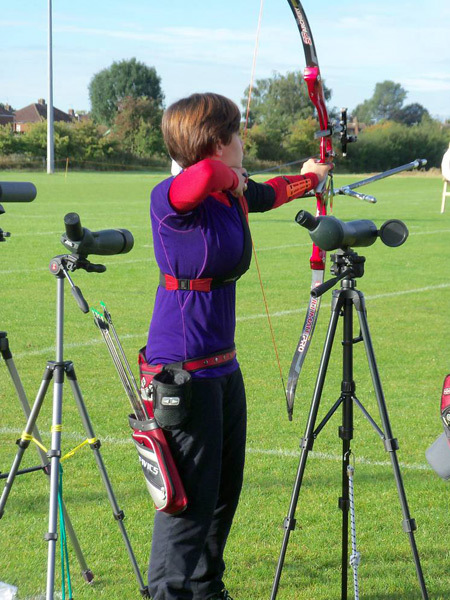 I initially shot for fun, but after visiting the European Archery Festival in 2014 I decided I would start competing. This is where I also first came across Artebo products, and ever since I've been a huge fan! In my debut outdoor competitive season this year (so far) I've achieved Bowman classification, consistently earned medals/awards at multiple shoots and will also receive a senior national target ranking at the end of the year. I am also starting my second consecutive year on the National Talent Development Programme, where I am working with a great team of coaches to help me progress and achieve my goals.